BRYAN EATON/Staff photo. 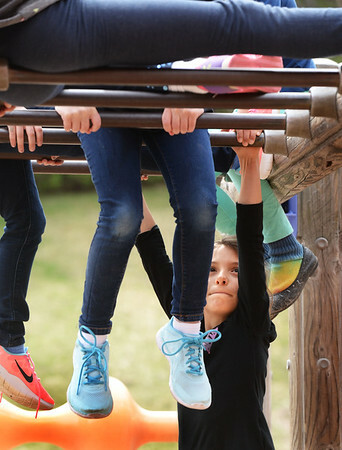 Destiny Grace, 8, maneuvers around the hanging legs of her friends on a monkey bar during recess at the Amesbury Elementary School on Monday. Recess is likely to be held indoors Tuesday and Wednesday with rain in the forecast with nice weather returning for the weekend.